1. Olimpio Antonio Giancola was born on January 20, 1922, at Cerro al Volturno, Italy. He married Mayme M. Prezioso, daughter of Francesco Preziuso and Maria Assunta Iovine, on August 19, 1950, at Lake County, Ohio. Antonio died on October 5, 1997, at age 75. 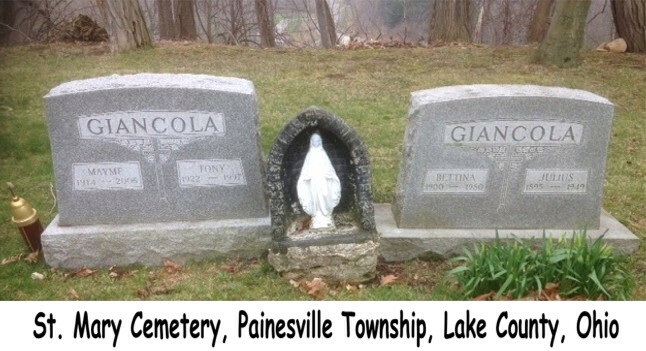 His body was interred at St. Mary Cemetery at Painesville Township, Lake County, Ohio.